NB: I wrote what follows as an op-ed. When I realized that no one inside or outside of Poland is especially interested in Polish climate policy, I decided just to post it here, along with some added detail that I would have had to excise to meet word-length requirements for most publishers of op-eds. Fool me once; fool me twice. But what about the third time? Poland is hosting the UN’s annual climate summit for the third time in 11 years. Each time it hosts the summit, Polish government officials, regardless of party, wear two faces. While telling the global community that it supports policies to mitigate climate change, Poland reassures its coal mining industry that it has no intention of shuttering the mines. Is Poland a climate policy obstructionist pretending to be a climate cooperator, or a climate cooperator slowly preparing its coal-mining industry for big, politically-contentious changes? When Poland last hosted the climate summit (COP 19) in Warsaw in 2013, its government simultaneously sponsored a global coal summit right across the street. Then-Prime Minister Donald Tusk (currently President of the Council of Europe) promised that not a single mine in Poland would be closed. During the current COP (24), Poland’s president Andrzej Duda – a political opponent of Tusk (to put it mildly) – issued similar assurances, and more. On the first day of the COP in Katowice, Duda spoke of the need to reduce greenhouse gas, while admitting that Poland had no plans to stop using coal for the next 200 years. 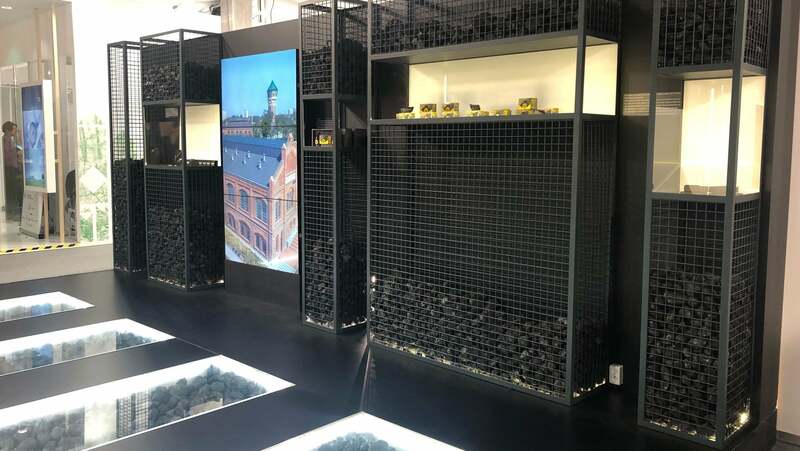 Meanwhile, in the most in-your-face of insults, the Polish pavilion at the conference center featured pillars of coal, and COP participants were regaled by Katowice’s coal-miners’ band as they entered the venue. Later in the week, Poland’s Environment Minister, Henryk Kowalczyk, even questioned scientific findings of anthropogenic climate change, adding that the logic of environmentalists requires the elimination of human beings because we emit carbon dioxide. On a positive note, at least at first glance, Poland has officially committed to reducing its dependence on coal from 78% to 60% of its energy mix by 2030. But it is unclear that such a reduction would push Poland off its present business-as-usual trend line. At the time of the 2013 Warsaw COP, Poland’s coal reliance was at 85%, and no policy was in place to reduce that dependence. In fact, then-Prime Minister Tusk promised to increase coal use. Yet, in the five years between 2013 and 2018, Poland reduced its dependence on coal by 7% -- 1.2% per year – mainly as a result of market forces, including improvements factor productivity in industries that use coal. It is possible that Polish industries operating in competitive markets could achieve the announced 18% reduction in coal use – 1.5% per year – over the next 12 years, regardless of national climate policies. Poland also claims to have reduced its carbon emissions by 30% since 1988. But this statistic is grossly misleading because of the baseline date, which marks the end of socialist central planning in Poland, which promoted the extensive use of resources, including coal. From 1989 through the early years of the 1990s, Poland transitioned from a socialist economic system to a competitive, market-based economic system, in which most major industries, notably excluding coal mining, were privatized. In such a transition, great improvements in productive efficiency could hardly be avoided. Certainly, no deliberate policy existed to reduce carbon emissions, which were the least of Poland’s environmental concerns in the 1990s. The question remains, why would Poland care to appear to the world as a strong supporter of global climate policies, while at the same time assuring miners that it has no intention of ending reliance on coal until the last ounce of it is removed from the ground. Any plausible answer must include two related factors, one historical and the other structural. First, mining has a long and storied history in Lower Silesia, extending back well over 100 years. After World War II, when communist Poland gained control of the entire region, coal-miners became a blue-collar aristocracy, exemplary communist workers who were able to buy goods and obtain bonuses unavailable to any other workers. Vestiges of their status remain today, including the potency of their political lobby, which has fought plant closures, though not always successfully. The coal lobby has had great success, however, in fighting initiatives to privatize the mining industry, which inevitably would rapidly lead to a reduction in mining jobs. Because it is state-owned, Poland’s mining sector experiences both over-employment and under-production, which reflects the political costs to the state of reducing coal dependence. Poland’s coal industry today employs more than 125,000 workers, 60% more than in the United States, while producing nearly six times less coal annually than US coal mines. Over-employment is a directly result of Poland’s failure to privatize the industry, under strong political pressure from coal miners. All large coal-producing companies remain state-owned and -subsidized. According to a recent report, in 2013 Tusk’s party pressured PGE, the country’s largest power producer, into making an unprofitable investment in a coal plant the state wanted to protect. PGE refused, and its chairman resigned. Three years later, under a far more conservative government, PGE bought the Polish Mining Group, despite its falling share prices and out-of-date infrastructure. Polish mining companies, unlike privatized mining companies throughout the rest of Europe, do not operate in competitive markets, in which survival depends on market profits. Instead, their survival is guaranteed by subsidies from the state. Consequently, they lack incentives to economize on resource inputs, including labor. So, more miners keep their jobs. Under private ownership, excess employment would be squeezed out and levels of productive efficiency would rise. This is, of course, the reason coal miners rationally oppose privatization. Private coal mine owners would not hesitate to reduce excess labor. Because miners comprise an important voting block supported by a powerful mining ministry within the government, they can prevent privatization as well as job cuts at publicly-owned mines. Whenever the government decides to protect excess mining jobs, the cost is ultimately born by either consumers or taxpayers (very often, the same people). Indeed, Poles now pay the highest electricity prices in Europe. The bottom line is that, so long as coal companies are maintained in state-ownership, it will be difficult for the Polish government to reduce significantly either coal mining jobs or subsidies no matter how sincere its attitude about global climate policies and no matter how many UN COPs it hosts. Coal will continue to flow from the mines into industrial furnaces and residential fireplaces. The Catch-22 is that the political costs of privatizing coal mining in Poland are and are likely to remain prohibitive for any political party. The only hope is that, eventually, high electricity prices could lead to a backlash against publicly owned coal mines and electricity generators, creating a countervailing lobby in favor of privatizing the mines and the generators, despite resulting job losses. Until then, Polish governments, regardless of party, will be forced to maintain two faces on global climate policy. New Article: "Environmental Instrument Choice in a Nonlinear World"
This new article is authored mainly by Kathy Gjerde and Peter Z. Grossman. I'm a coauthor because basically it was my idea, although Peter had a lot to do with refining the idea over two decades of discussions we've been having about it. In any case, I hope and trust this is a valuable addition to the literature. Here is a screenshot of the abstract. If you click on it, it will take you to the full article. I'm not sure whether it's freely accessible or behind a pay-wall. The Islamic Enlightenment: The Struggle Between Faith and Reason, 1798 to Modern Times (Liveright 2017) is an engrossing and well-written book, though I feel a more accurate title would be, Some Modern Islamic Thinkers Have Been Enlightened. The notion that Enlightenment ideas and ideals might have prevailed, if only history had played out a bit differently in Muslim countries, seems overly fanciful. 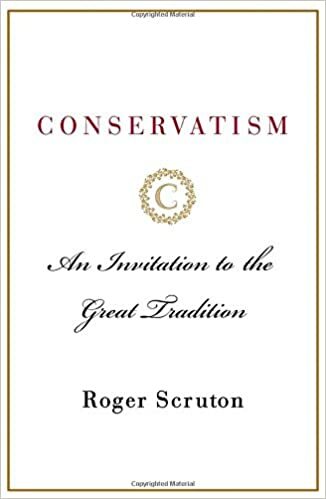 The book is mainly a biographical history of many political players, including "modernizers," conservatives, and reactionaries. Rather than discussing how the ideas of various Muslim modernizers fit in with Western Enlightenment thinking, the author Christopher de Bellaigue simply equates "modernization"- or secularization - with Enlightenment. Of course, it's more complicated than that. Bellaigue argues that one reason the Enlightenment did not take hold in Muslim societies is that it was not a natural, organic outgrowth from pre-Enlightenment thought, as it clearly was in the West (in the works of Hobbes and Spinoza, for example). But that also is too simple. Bellaigue himself notes that enlightenment-style roots were deeply buried in the classical Islamic civilization and culture of the 8th-11th century, including the ecumenical and progressive works of the Mutazilites and the faylasufs (philosophers), including Avicenna. I wish Bellaigue had written more about those early thinkers, who planted the seeds of a potential, authentic Islamic enlightenment. Unfortunately, by the ninth century reactionary, fundamentalist approaches to interpreting the Koran were already coming to the fore, and before long the slender roots of a truly Islamic enlightenment had dried up, remaining without water for several centuries. Today, especially following the failures of the so-called "Arab Spring," to speak of an Islamic enlightenment seems so much wishful thinking. There is, of course, a large Muslim diaspora spread around the world, where a more enlightened, more cosmopolitan brand of Islam is practiced. Bellaigue has little to say about that modern diaspora, including the fact that it exists mainly because of the absence of social, political, and religious freedom in Muslim countries. Whatever its defects, I learned a great deal from reading The Islamic Enlightenment, including important thinkers who previously were unfamiliar to me, such as Sheikh Muhammad Abduh, who asserted that "main was not created to be led by a bridle." Recently, New York Times pundit-turned-philosopher David Brooks opined that "Every truth becomes false when you take it to its extreme." Let's take that statement as true. Now, take it to its "extreme." At that point, Brooks' truth that every truth becomes false when you take it to its extreme becomes false. We're in Chicago for the 10th annual meeting of the Society for Environmental Law & Economics (SELE) - my favorite group of scholars. We'll be missing some familiar faces this year, but we'll have presentations from some who have never attended our meeting before. The program for the conference looks great, as you can see below. In fact, I had been planning to make my own presentation this year, but withdrew to make room for another junior scholar to present. The first task of summer is done. I've prepared 3 three-hour lectures for a training program in Beijing during the first week of July. The first is on interactions between property systems and environmental systems, and the diversity of property systems for environmental protection. The second is on the history of land-use and urban environmental controls, from the Indus Valley, ca. 2600 BCE to the present. The third is on advantages and disadvantages of various instruments for environmental management, including design standards, performance standards, zoning, subsidies, cap-and-trade, and taxes. Next up, drafting sections for an article, with SPEA Dean John Graham, on the Trump Administration's roll-back of motor-vehicle emission standards under the 1970 Clean Air Act (1970), federal preemption of state standards, the CAA's California waiver, and whether that waiver is limited by the 1975 Energy Policy and Conservation Act. This project holds two attractions for me: (1) it gets me back into the mire of domestic air pollution control, a subject I haven't taught for nearly 10 years, but one I am scheduled to begin teaching again next Spring; and (2) John and I don't exactly see eye-to-eye on many of the relevant policy issues (that's an understatement), so this project will test my priors, and John's as well. And if we actually come to some kind of agreement on the policy and the law, it will be both a minor miracle and a significant contribution to the literature. I dearly hope (but do not expect) to have time later this summer to work on a chapter or two for a long-planned book project (with Mike McGinnis and Eduardo Brondizio) on institutional analysis of social-ecological systems. An aphorism for the day: Never trust those who claim to base their policy positions on a consistent set of political principles, if their policy positions always (or nearly always) happen to be fully consistent with their own narrow self-interest. 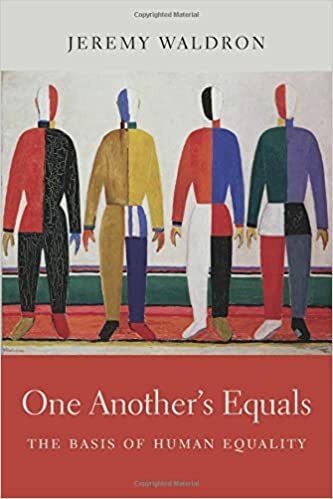 For many years, Richard Powers has been my favorite fiction writer in any language, largely because of his ability to write so fluently and intelligently on so many different and difficult topics, ranging from quantum mechanics to musicology. He was almost a modern American version of Thomas Mann (although it is really unfair to compare any novelist with Mann). Powers' new novel, The Overstory, is, like all his books, ingeniously structured, chock full of knowledge, and beautifully written. Like all the others, I had a hard time putting it down. Unlike his other books, however, I found it ultimately disappointing. Despite its many merits, the book is an indication that Powers' imagination has been captured by a single theme: the inability of humans to alter our trajectory toward inevitable environmental catastrophe. It is a theme Powers has been exploring for some time, notably in his 2014 novel Orfeo and, to a lesser extent, in his National Book Award-winning 2007 novel, The Echomaker. I do not dispute any of Powers' scientific information about trees and forests, although his frequent use of anthropomorphic metaphors in describing forests (perhaps with the good intention of making humans more aware of the extent to which individual trees and individual humans or communities of them are alike) is sometimes misleading. Almost everything Powers says about the cutting of old growth timber in the US, sometimes in violation of state or federal law, is true. But his view of the situation also is somewhat historically myopic. He fails to give any credit at all to human efforts at preservation (aside from the creation of seed banks), as we have come to better understand forests and their importance for the combined social-ecological systems in which humans (among billions of other species) exist. Since 1910, total forest acreage in the US has, in fact, been stable, increasing slightly from 754 million acres to 766 million acres between 1910 and 2012. "Reserved" forests (generally off-limits to timber harvesting) have increased from 10 million acres in 1920 to 74 million acres in 2012. Of course, the genetic diversity of forested lands have declined greatly as rotations of harvesting and replanting have continued since the late 19th century. That is why seed banks are vitally important to maintain. 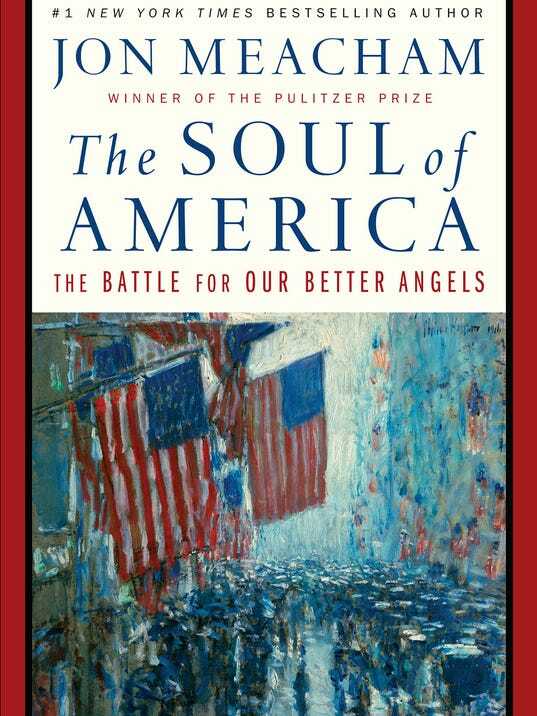 One would not learn anything from Powers' novel of the efforts (in some cases, of heroic proportions) of federal, state and local governments, along with non-governmental organizations and individuals, to ameliorate, if only marginally, the problem. Perhaps it would undermine the power of Powers' dystopian nightmare to provide any kind of positive counter-narrative of forest protection efforts in the US. Still, there is the larger moral question that Powers raises; and he laments what he considers the inexorable human answer. But the kind of catastrophism that Powers manifests has never actually solved any social or ecological problems. And, as his book illustrates, neither have the actions of ecoterrorists who, rather than drawing due public attention to a serious problem, are perceived only as "tree-huggers" attempting to impose their own values on the rest of society - becoming ecological versions of Plato's philosopher kings. Sometimes, a novel is just a novel, and we should read too much into it. But no Richard Powers novel is "just a novel." To see a writer of his intellectual abilities become imprisoned by a catastrophist world view is itself a minor catastrophe. Jazz history is full of great players and characters, many of whom are well known to us. But there are equally many who are less well known than they deserve to be. Denzil DeCosta Best must be somewhere near the top of that list. In the video below, Best can be seen playing his own classic composition, "Move," with George Shearing's quintet. He was less inclined to call attention to his own playing than other great players, such as Art Blakey or Max Roach, but Best certainly was among the original bebop masters. His brush work in particular is reputed (by Elvin Jones among others) to be among the best on record. The video below provides one nice demonstration; another is the entire recording of Errol Garner's 1955 "Concert by the Sea." In the mid-1940s Best joined Coleman Hawkin's groundbreaking group, which also included Thelonious Monk. Best and Monk later left Hawkins band to form their own, which became Monk's first group as a leader. Monk reportedly loved Best's laid-back but hard swinging style. The two of them co-wrote "Bemsha Swing." Unfortunately, a freak accident in which Best broke both his legs forced him off the drums for a couple of years, and out of Monk's group. Best later joined up with Shearing and Garner. He also played with Ben Webster, Artie Shaw, Billie Holiday, Nina Simone, Lennie Tristano, and Lee Konitz. Unfortunately, sometime around 1963 Best developed paralysis presumably relating to his earlier injury. He died in 1965 at age 48, after falling down stairs at a New York City subway station. In addition to "Move, and "Bemsha Swing," Best left the world with other fine, and oft-recording compositions, including "Wee," "Nothing But D. Best," and "Dee Dee's Dance." Terence Blanchard and his band put on a great show this evening at the Buskirk-Chumley Theater in Bloomington, playing tunes from their new album, "Live." His drummer, Oscar Seaton, was awesome - even better in person than on the album. In fact, the entire band, including guitarist (and former Stanford University anthropology student), Charles Artura, was outstanding. If you like fusion, you'll love the album. If you don't like fusion, you'll still like the album. I've been listening to both set of headphones using my Pioneer XDP300r hi-res music player, which decodes up to 4xDSD plus MQA. I've been listening both to my own stored FLAC files and music from TIDAL (although TIDAL's android player does not yet allow for the highest resolutions, including MQA files). At first, I found the Ultrasone headphones a bit "hot," even harsh, at the top end. But I was digging the smoothness of the Oppos. Over time, however, the Ultrasones either mellowed out a bit or I just got used to them. Currently, I must say, I prefer their clarity and dynamism, including their more expanded range on top and bottom, along with their larger (admittedly, artificially enhanced) sound stage to the Oppos neutral imaging. Indeed, the Oppos have begun to strike me as a bit boring by comparison. Interestingly, I find myself trying to split the difference between the two sets of cans by using an equalizer both to reduce the U-shaped tuning of the Ultrasone's and to liven-up the flatter response of the Oppos. But the effects of equalization have not been equal. It has helped more with the Ultrasones, the sharp edge off the highest frequencies, than with the Oppos. Both cans are light and seem equally suitable for travel. The Oppos fit in a somewhat smaller case, but the Ultrasone actually fold up to be as small or smaller than the Oppos (in the shape of a super-sized banana). I wonder why Ultrasone did not make a travel case that takes full advantage of their portability; its case is significantly larger than the Oppo case, though still sufficiently portable. The weight difference between the headphones doesn't differ enough to matter to me. And they are both quite comfortable, even though the Oppos have real leather compared to the Ultrasones' PU leather. My relatively small ears fit well within either set of ear cups. The cups on the Ultrasones clamp a bit more tightly than the Oppos. That could make them less comfortable over the course of a long flight, but it could also provide superior isolation (all else being equal). In any case, I don't to wear any single pair of headphones for more than a few hours at a time; I always alternate between headphones and my Nobel X in-ear monitors (not to mention my custom Weston noise protection inserts for sleeping). The contest is not yet over; it's even possible that I'll decide to keep both sets of headphones. But at this point, I'd say that the Ultrasones have the advantage. For commenting much, much less on FB posts, and limiting my comments mainly to music-related posts. I am now spending a total of about 10 minutes per day on FB. By contrast, my daily music listening time (only listening - not playing along or reading while listening) is up to about two hours. I believe this is a healthy development (possibly the only healthy development I can claim over the past couple of years). 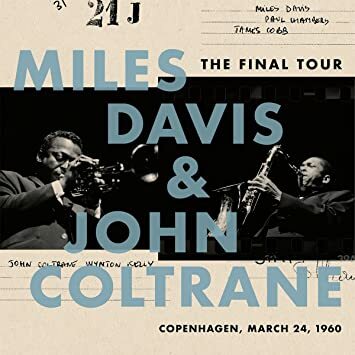 This is a great concert LP. It's not really new, but it's the best part of a tour set previously released on CD. Jimmy Cobb never sounded better. Likewise Wyton Kelly and Paul Chambers. Trane was just about to leave to lead his own group. And Miles was Miles. But its the beautiful quality of the recording that sets this concert LP apart. With some long trips coming up in the second half of 2018, I've decided to test out some new travel headphones, as companions to my Noble IEMs (I like to alternate between over-ear cans and IEMs because, after a few hours, either becomes somewhat uncomfortable). The Ultrasone Signature Studio (msrp $599) and Oppo PM-3 (msrp $399). They are two very different kinds of headphones. The Ultrasones start with conventional dynamic speakers, but add a special design and tuning system to create a wider and deeper sound stage than closed-back cans typically provide. 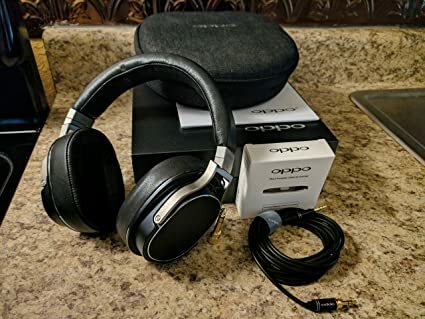 The Oppo cans are planar-magnetic that have been well-reviewed by respected audiophile journals, and are perennial contenders for the best headphones under $1000. Oppo recently announced that they are no longer making them, and they already are getting harder to find, which increased my motivation to find a pair to test. I have a pair of planar-magnetic phones, which I like, but feel ready to upgrade. In fact, I'm much more interested in relegating to Ebay my Monolith M560s than my Sennheiser Momentums.